As God reveals new treasures in His Word to me, I add these discoveries to my expanding list of speaking topics. If the Bible addresses a felt need in your group, I’d love to explore it with you. You may either select a topic from the list below or request a new one to suit your particular event. If you’ve never asked God to grant His favor over your life, then this retreat will change that for good. God would love to shower you with His favor, and you’ll be sure to soak it all in as you examine the Scriptures and discover the unique qualities of five favored women. Chances are you’ll identify with at least one. Discussion questions for small group breakout sessions are available upon request. While always open to preparing new presentations to address topics important to your group, I listed a few current favorites below. The Bible tells us God made His dwelling place among His people, and the familiar old hymn says, “He walks with me and talks with me.” Wouldn’t you like to find this secret garden where God lives? 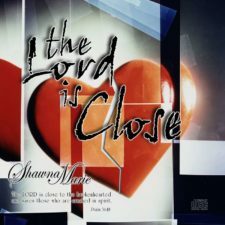 Shawna will testify to times in her life when God surrounded her with perfect peace in spite of her circumstances, and will point out the difference between the peace the world gives and the peace that Jesus gives. You will learn to stop worrying and discover the stepping-stones that lead to lasting peace and abundant joy. How can we be sure God hears our prayers? What does it mean to pray according to God’s will? Why should we consider praying Scripture? By the end of this seminar you will feel more confident about the efficacy of your prayers, and will begin to expect more supernatural activity in your life. The Bible says, “Love covers over a multitude of sins.” 1 Peter 4:8 NIV Do we love with that kind of love? Our model for living a life overflowing with grace is our Heavenly Father, who loved us while we were still sinners. 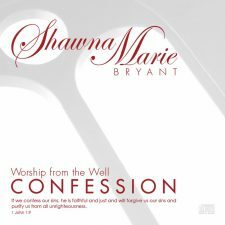 During this presentation of Scriptures, stories and songs, Shawna draws from her imperfect life as a wife and mother. She teaches how to hold on and when to let go. You will come away empowered to untangle the mess of unmet expectations in your relationships and learn how to give and receive forgiveness. Have you ever felt abandoned by God? Sometimes difficult circumstances lead us to question God’s sufficiency, if not His very existence. 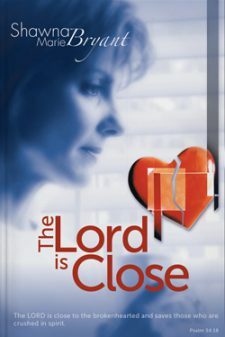 Sharing stories and songs from her The Lord is Close book and CD, Shawna testifies to God’s faithfulness during a painful time in her life, and explains how she discovered “hope in darkness.” If circumstances have ever dealt you an excruciating blow, Shawna’s testimony may lead you to a place of hope and healing. Do you ever wonder why Santa insisted on secrecy? What does the Bible mean by, “It is more blessed to give than to receive?” Does that mean we shouldn’t ask for things? 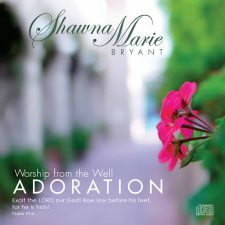 During this fun Christmas event Shawna unwraps what the Bible says about receiving and shares memorable stories, songs and a few surprises. You just may go home with a gift!